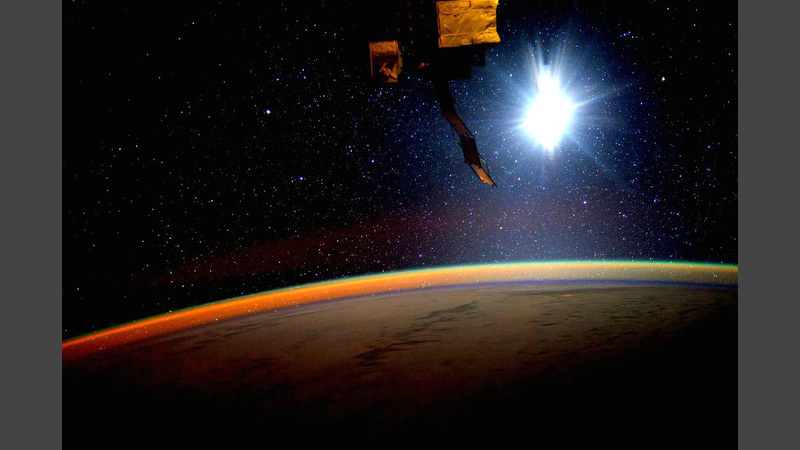 International Space Station Commander Scott Kelly and Flight Engineer Mikhail Kornienko, who have been living in space since March of last year, are spending their last full day in orbit today. The duo are returning home Tuesday evening with Soyuz Commander Sergey Volkov who will lead the Soyuz TMA-18M spacecraft back to Earth. Kelly will hand over command of the orbital laboratory to NASA astronaut Tim Kopra in a ceremony today at 3:10 p.m. EST/8:10 p.m. UTC live on NASA Television. When the Soyuz spacecraft undocks Tuesday, Expedition 47 will officially begin with Flight Engineers Tim Peake and Yuri Malenchenko staying behind with Kopra. While the homebound trio is wrapping up its mission, the three remaining crewmates will stay in orbit till June and continue their science and maintenance activities. Today, Peake worked inside Japan’s Kibo lab module preparing to increase its stowage capacity. Kopra explored new space exercise techniques to minimize bone and muscle loss during long-term missions. Malenchenko checked on Soyuz communications and worked on several Russian science experiments. Tune in to NASA TV Tuesday beginning at 4:15 p.m. to watch the live Soyuz crew departure and landing activities. Kelly and Kornienko will have accumulated 340 days in space while Volkov will have been orbiting 182 days when they land Tuesday at 11:25 p.m. Welcome back to Earth, I thank you on behalf of all of of us here on Earth. I know is never easy to be an achiever escialy in the unknown. Congratulations on a successful mission. I haven’t been this excited about space exploration since 03/16/1988! Thank you for all you have shared with us. We on Earth salute you! Fair winds and following seas for your safe journey home. A Job well done, Mark. Wow… It’s been an awesome journey! Thanks for everything you’ve done for humanity. We needed someone to do the things you men have done. You’ve sacrificed your bodies & your time. I am in your debt. May you all be blessed with a long & bountiful life. Thank you! Hey! Don’t forget your toothbrush. Safe travels. Welcome back to Earth, the one and only planet where there is delicious food and beer! Outside the joke, thank you for everything you are doing for the human race, your work is highly appreciated!